Some of our favorite "between the ears" photos from riding the world while filming for Equitrekking, the Emmy-winning PBS TV series. Seeing the world through the ears of a horse is a special way to travel, taking you places that vehicles can't reach and that would take quite some time to navigate on foot. For years, we've been traveling the world on horseback for Equitrekking, riding in beautiful national parks, remote deltas, lush Irish mountains and extreme Hawaiian volcanoes. Below are some of our favorite between the ears photos. 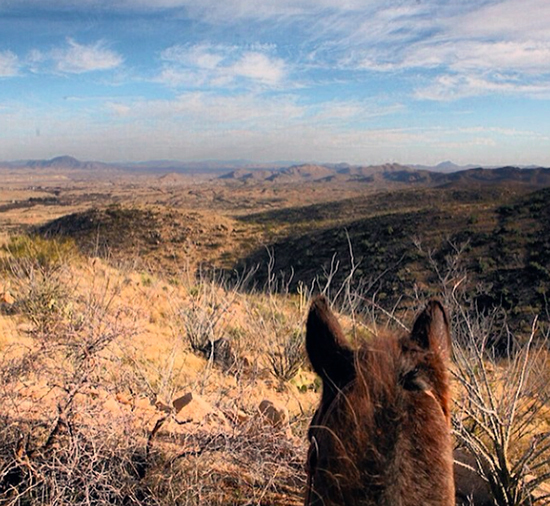 Enjoy the scenic views and see what it feels like to ride the world in this unique photo journey. 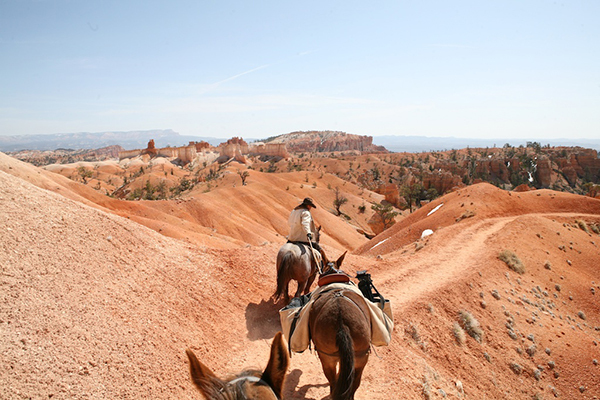 Riding stunning Bryce Canyon National Park in Utah. 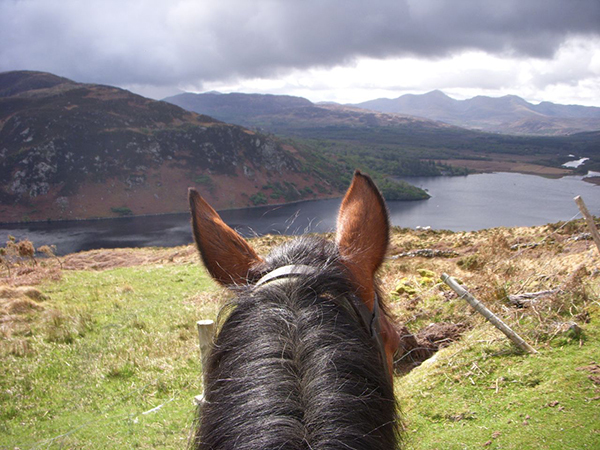 Between the ears along the Kerry Way on Ireland's popular Ring of Kerry horseback vacation. 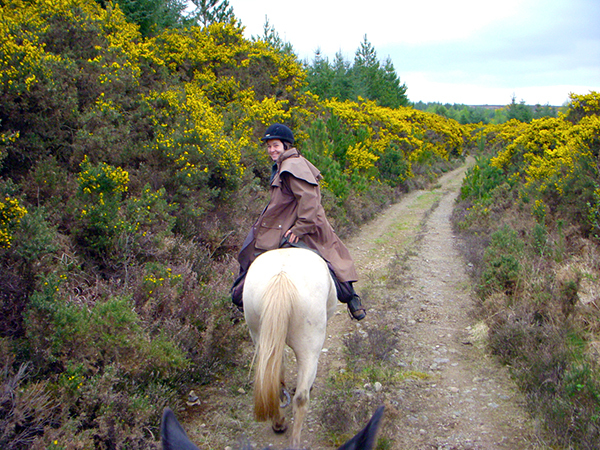 Riding along gorse lined trails in County Clare, Ireland on the Galway Riding Holiday. 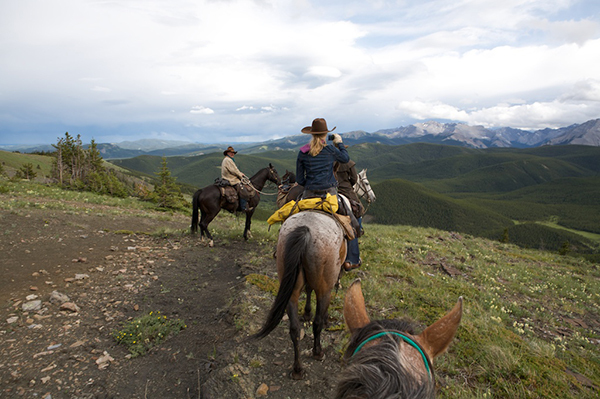 Horses are a great way to travel high into the Canadian Rockies. The mountain scenery on our ride in Kananaskis in Alberta, Canada was amazing. 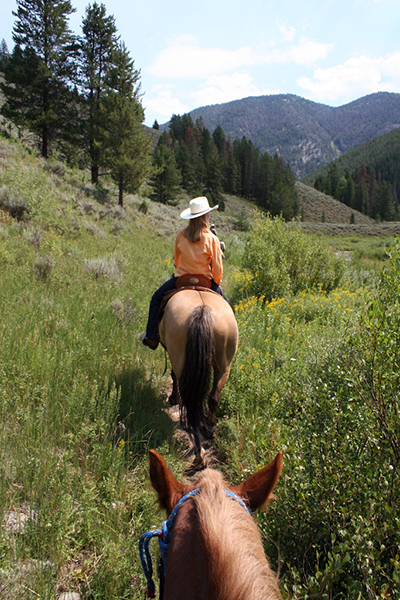 Riding through the Bridger-Teton National Forest in Wyoming. A through the ears shot of the high desert and in the distance the twin border towns of Sasabe, Arizona and Sasabe, Mexico. 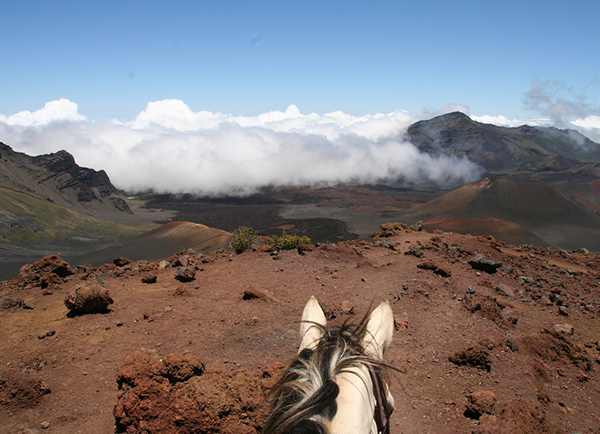 The ever-changing environment at Haleakala National Park on Maui, one of the most extreme rides we've undertaken. 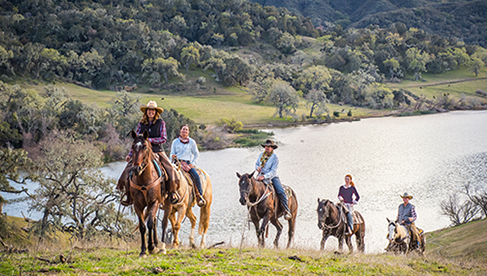 Learn about the places you can travel to ride with your own horse or by borrowing one at a ranch, resort or stable in the Equitrekking Vacation Guide, which features cattle drives, dude ranches, castles and global riding locations that welcome guests. 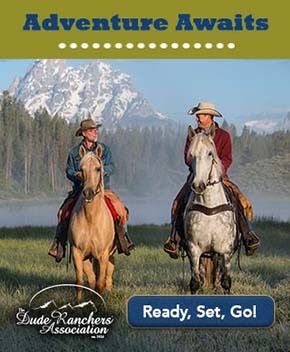 Check out more great dude ranches at Top20Ranches.com and top travel discounts to get you riding at a lower rate on Equitrekking Travel Deals. Need help planning your trip? Contact a travel expert through EquitrekkingTravel.com.